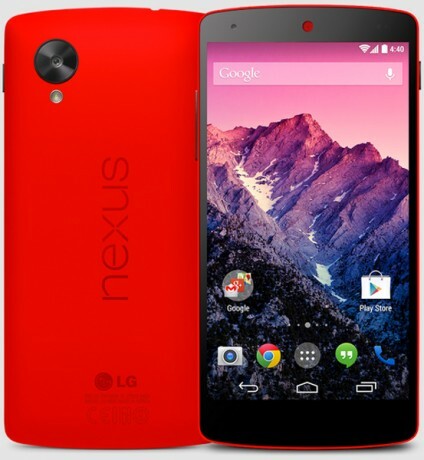 Google today made a red version of the Nexus 5 available for sale via the Google Play Store. It has the same features and price as the black and white versions. Phone Scoop tests Google's Nexus 5 on AT&T and T-Mobile's networks. Here is our in-depth look at Google's latest stock Android smartphone. Documents seen on the Federal Communications Commission web site provide the clearest look yet at what could be a new Google Nexus phone made by LG. LG submitted a "class 2 permissive change" for a variant of Verizon's LG G2 for "some hardware changes (antenna/PCB adjustments)" to the device. Ever wondered if a third-party camera app could take better pictures than your stock camera app? Well, we did and decided to put the stock Google camera app in the Nexus 5 in a head-to-head competition with Camera FV-5 and Camera ZOOM FX. Phone Scoop takes a first look at the Nexus 5 from Google and LG. Here are our initial impressions. Google today announced that the next major version of Android - version 4.4 - will be named KitKat, after the Kit Kat candy bar made by NestlÃ©. Each major version of Android is named for a sweet treat starting with a successive letter of the alphabet. New Flavor Available. Looks good, tho'. If I didn't had a phone already, probably I'd go for the Nexus 5 in Red Hot. I have to agree, it looks hella good. But there's still something I don't like about this one, don't know what exactly that is, but there's something that just doesn't feels right about this Nexus 5 phone.